I have practiced medical optometry with PCLI for more than 20 years, and still, one of my more difficult decisions is which patients with elevated IOP to treat. 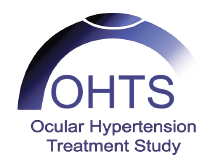 The Ocular Hypertension Treatment Study (OHTS), sponsored by the National Eye Institute, was a well-designed and well-conducted multi-center study that has provided valuable information about patient management. In my opinion, it is one of the most important studies done in the past decade. It has certainly made my treatment decisions more clear. In this article, I review ocular hypertension, OHTS findings, and clinical pearls that came out of that study. Ocular hypertension is a condition of elevated intraocular pressure (IOP) without optic nerve damage or visual field loss. When IOP gets above 21 mmHg, it is typically considered ocular hypertension. While ocular hypertension is not glaucoma, elevated pressure is the single best indicator of developing that potentially blinding disease. Elevated IOP is also the only risk factor for glaucoma that can be medically or surgically modified. How can we identify the patients most likely to develop glaucoma? 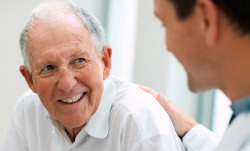 Will lowering IOP reduce their risk? These are questions the OHTS set out to answer. The OHTS was conducted at 22 clinical centers across the country, including the Pennsylvania College of Optometry. Among its strengths is the study population, which provides a good cross-section of the glaucoma population: 57% of the 1636 subjects were women and 25% were African Americans. Even though the study is now over 10 years old, its findings are still very relevant in guiding ODs and MDs alike. The key finding of the OHTS is that topical IOP-lowering treatment can reduce the incidence of glaucoma in ocular hypertensive patients. After 5 years of follow-up, the probability of developing POAG was found to be 4.4% in the treatment group compared with 9.5% in the observing group. Researchers also found that age, IOP, central corneal thickness (CCT), vertical and horizontal cup-to-disc ratios, and pattern standard deviation on visual field testing were good predictors for the onset of POAG. Among these, CCT was found to be the most powerful predictor of the progression to glaucoma. For years, many clinicians were unaware of the association between CCT and ocular hypertension. The OHTS was the first research to clearly demonstrate the importance of corneal thickness in glaucoma. Baseline factors used to determine risk are age, IOP, CCT, vertical cup-to-disc ratios, and pattern standard deviation of visual fields. The OHTS study group used their data to publish a calculator for estimating the risk of glaucoma development. A number of other conversion algorithms have also been developed and put into clinical use. However, in my opinion, it is not necessary to use a risk calculator with all patients. Many clinicians take risk factors into consideration without formal calculators. Although some patients may benefit from it, risk calculators will be more accurate in patients who resemble OHTS participants. As a result, there is no accepted algorithm that can be applied to all patients with ocular hypertension. Whether or not you use a risk calculator, CCT measurement is vitally important in giving an overall sense of how aggressive or conservative you should be with therapy. You might ask, what are the clinical pearls from the OHTS? 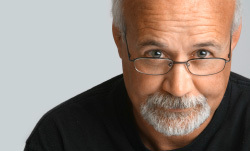 In the June 2011 issue of Glaucoma Today, Michael Kass, MD, lead investigator for the study, listed 5 important take-home messages for clinicians. Topical ocular hypertensive treatment is safe and effective in reducing the incidence of glaucoma in ocular hypertensive subjects. 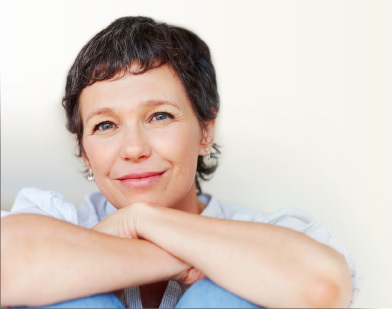 Treatment produces roughly a 50% decrease in the incidence of glaucoma. Although the 50% reduction in the incidence of glaucoma occurs across the risk spectrum of hypertensive participants, the reduction is greatest in the highest-risk participants. This means highest risk patients should be observed more carefully and may benefit from early treatment. Baseline age, IOP, CCT, vertical cup-to-disc ratios, and visual field pattern standard deviation do a good job of stratifying the level of risk in ocular hypertensive patients. These factors are all relatively easy to gather and do not require specialized equipment. Delaying treatment for a mean of 7.5 years has a relatively small absolute effect on the incidence of POAG in low-risk ocular hypertensive patients (reduces the 13-year incidence of POAG from 8% to 7%) but a much larger absolute effect in the high-risk group (reduces the 13-year incidence of POAG from 40% to 28%). Although the treatment of ocular hypertension is protective in African Americans, they still had a higher incidence of POAG than the participants classified as other in OHTS. On the basis of thinner baseline CCT and larger baseline cup-to-disc ratios, African Americans as a group are at a higher risk for developing POAG. 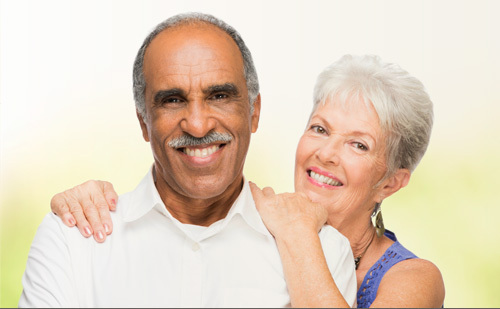 Time is Your Friend — Glaucoma is typically a slow-moving disease and it is common to not have the answer right away. You’ve got time to collect and analyze the data. Repeat Visual fields — OHTS investigators found that it took three consecutive abnormal visual fields to reach a clear POAG endpoint. They observed that even after two abnormal visual fields in a row, the next visual field was normal 40% of the time. Keep it Simple — As in life, I try to keep things as simple as possible. Even though technology has improved and we have nifty instruments like the OCT, don’t let this machine make the diagnosis for you. It is more prudent to start with a stereoscopic evaluation of the optic nerve. We are always available for questions and consultations regarding patients with pressure problems—or other eye health issues. Feel free to call any of our optometric physicians. Kass MA, Gordon MO, Gao F, et al. Delaying treatment of ocular hypertension: The Ocular Hypertension Treatment Study. Arch Opthalmol. 2010; 128(3): 276-287. Hovding G, Aasved H. Prognostic factors in the development of manifest open angle glaucoma: A long-term follow-up study of hypertensive and mormotensive eyes. Acta Ophthalmol (Copenh). 1986; 64(6): 601-8. Lundberg L, Wettrell K, and Linner E. ocular hypertension: A prospective twenty-year follow-up study. Acta Ophthalmol (Copenh). 1987; 65(6): 705-8. Gordon MO, Kass MA and the Ocular Hypertension treatment Study (OHTS) Group: the ocular hypertension treatment study: design and baseline description of the participants. Arch Ophthalmol. 1999; 117: 573-83. Gordon MO, Beiser JA, Brandt JD, et al. The Ocular Hypertension Treatment Study: baseline factors that predict the onset of primary open-angle glaucoma. Arch Ophthalmol. 2002; 120(6): 714-20. Kass MA, Heuer DK, Higgenbotham EJ, et al. The Ocular Hypertension Treatment Study: a randomized trial determines that topical ocular hypotensive medication delays or prevents the onset of open-angle glaucoma. Arch Ophthalmol. 2002; 120: 701-13. Ocular Hypertensive Treatment Study Group, European Glaucoma Prevention Study Greoup, et al. validated prediction model for the development of primary open-angle glaucoma in individuals with ocular hypertension. Ophthalmology. 2007 Jan; 114(1): 10-9.